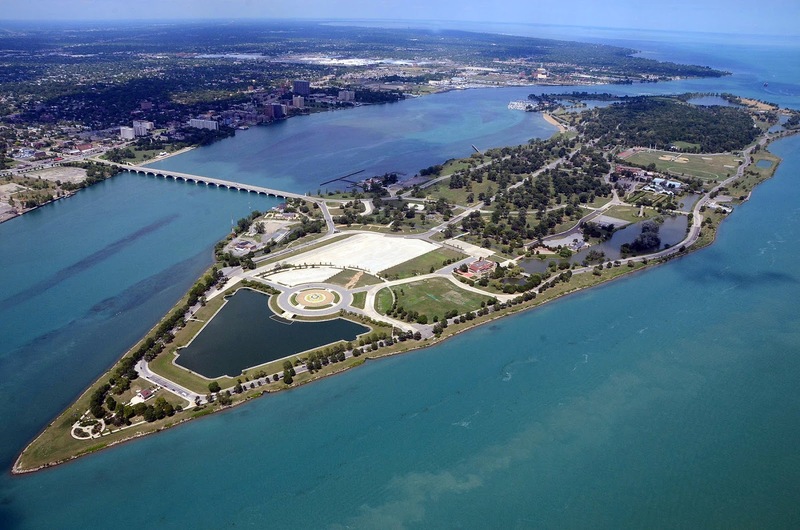 Belle Isle Park is a Detroit gem, rich with history and natural beauty. It became Michigan’s 102nd State Park in 2014 as part of a lease agreement with the City of Detroit. As with all Michigan state parks, a Recreation Passport is required for a car to entry Belle Isle State Park. Many of us checked “yes” and paid $11 for a Recreation Passport when we renewed our license plate . The $11 purchase provides free entry to all Michigan State Parks for a year, a great bargain! If you did not purchase a Passport or you will be visiting with an out-of-state car, you can purchase a window sticker at the entrance booth or at the Administration Building (White House) near the Aquarium*. *Nonresidents pay $9 for a day pass.